We asked our CAPA intern Lauren to summarise her placement with us here in London. Lauren came to us for a short placement via CAPA International Education and is a third year Business and Marketing student from Brown's University, Ohio. She has been a valuable asset to the ICC team over the last 2 months, and she'll be sorely missed! I cannot think of a better place for me to have spent my time studying abroad than right here in London. There is so much to see that, even after six and a half weeks, I don’t feel like I have seen enough of the city to leave it. I did a lot of touristy things like touring Kensington Palace, going to the London Aquarium, Harrods, Madame Tussauds, riding the London Eye, and going on an open-top, double decker bus tour, just to name a few. I also did two day trips, one was to Stonehenge and Bath and the other was Kenilworth Castle and Stratford-Upon-Avon. Most of my tourist-like activities were done on weekends, it was a joke with my friends that we were Londoners by week, tourist by weekend. Before I left for London, I had heard that the tube was really difficult to navigate and that I needed to be prepared to get lost a lot. That was so opposite from the experience I had navigating the tube. I found it pretty easy; it only took me a day or two to get the hang of it. I can only think of one time where I got on the wrong train, but it wasn’t hard to get back on track. The busses were pretty easy, too. I preferred to take the bus because I got to see the city more, but I never really had time to wait on them. If I took the bus, it was at night when I wouldn’t take the tube alone. During my time in London, I was living in Camden Town. I found the area really interesting, but I definitely did not fit in all of the time. One of my first nights here, I walked around the Camden area with my roommates. After we walked around, we went to the pub next to our flat; we turned around and walked right back out. Everyone else in the pub was dressed in dark colors, then we walk in with our bright colors, and everyone turned and stared at us. It was really clear that we did not belong in that pub, but we did find some we liked. Something that probably won’t be too shocking to hear from an American is: I love the Royal Family. When I found out that the Trooping the Colour parade was going on while I was here, I got so excited! The parade was really cool to experience. I enjoy bands, so seeing all of the guards playing was really awesome. But the best part was definitely the Royal Family rolling passed me. They went so fast that my pictures were blurry, but when they went back to Buckingham I made sure I took videos. The size of the crowd was insane, which I expected, but I didn’t realize just how many people were there until I went to see the Royal Family on the balcony. I loved how open everything about the parade was; all of their carriages were open-top and the guards were only lining the street. That would never happen in the States. In the States, there would’ve been guards in the closed-top cars and surrounding them. Another really unique experience I got was to go to Wimbledon. I’ll admit it, I had never watched a tennis match before, but it was Wimbledon, going sounded fun. When I had to get up at 3AM, fun was not the word I had in mind though. Once we got to the queue, the day went so fast! Having lunch at 10AM was strange, it seemed way too early, it really wasn’t for how long we had been up, it just felt strange eating lunch when I normally eat breakfast. I ended up getting tickets to court two with a couple of my friends. 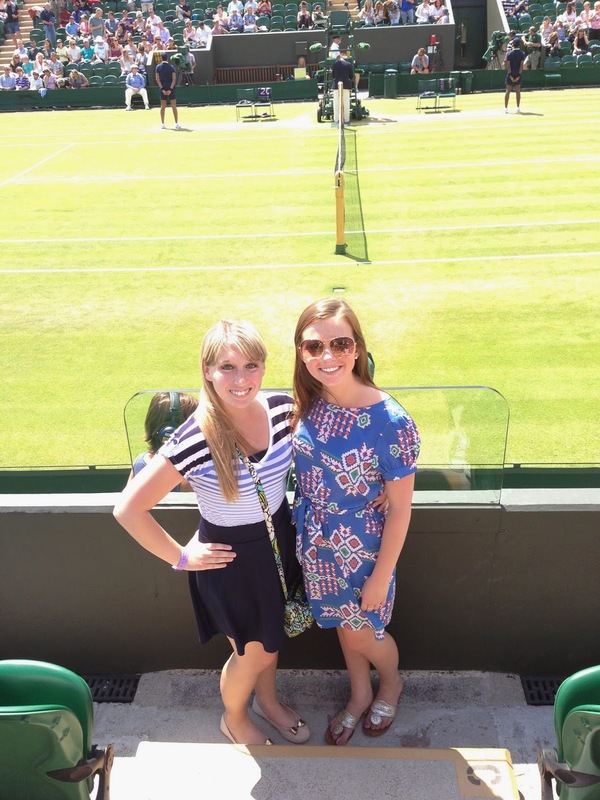 We saw Simona Halep v. Lesia Tsurenko and Lleyton Hewitt v. Jerzy Janowicz. It was Lleyton’s last match, so that was really cool to get to see, it was a really good match too! We did not stay for the third match on court two, but I did enjoy the matches we did see. But I did say that I was a Londoner during the week, and that’s where the Irish Cultural Centre comes in. My internship here has been such a wonderful experience, I’m really sad that it’s over. This was my first internship and I could not have asked for a better placement. Kelly gave me the opportunity to do so much, like making flyers and surveys, writing blogs and even creating contests, that I was able to learn more than I ever imagined. I was able to sit in on a couple of Kelly’s meetings and that was so interesting to see. I have meetings on campus all of the time for clubs and such, but these were totally different, they were actually really professional and I thought it was so cool to see how people who have been planning events for years work and brainstorm. One of the highlights of the internship was the Hammersmith and Fulham ArtsFest. It was really cool to see how all of the organizations worked together to pull off such a festival, especially for the first year of it. That week really taught me a lot as far as how to work with a co-sponsor and what to do when there are multiple miscommunications surrounding one event. I wished I could have hit more events than just the ones we were putting on, but with class and other things it just didn’t happen. Another really cool thing I got to experience was the Tea Dance. Everyone looked like they were having so much fun dancing and socializing, it is definitely something I could see me and my friends attending! I thought it was funny how about ten minutes before the tea and coffee was to be served people started to line up for it and ask if it was time yet. It was just an all around cute event. In the six weeks I was here, I heard so much about this new building. I’ve seen the designs and layouts and I know a lot about how awesome it is going to be. My only problem with the new building is that I won’t be here when it opens! It makes me so sad that I’ll be missing the grand reopening of the ICC, but I am really looking forward to seeing all of the pictures of it when it gets finished. My six weeks flew by. I knew when the program started it would pass like the blink of an eye, but I think there was a small piece of me that wanted to believe it would seem longer. I have had the chance to meet so many lovely people, especially ones who work with the ICC. I know I am extremely lucky to have had this opportunity to study, work, and explore London and I am far from ready for this experience to be over. But, that time has come and I plan on spending my last couple of days finishing off my "London Bucket List." I love it here and I cannot wait for the day I get the chance to come back. 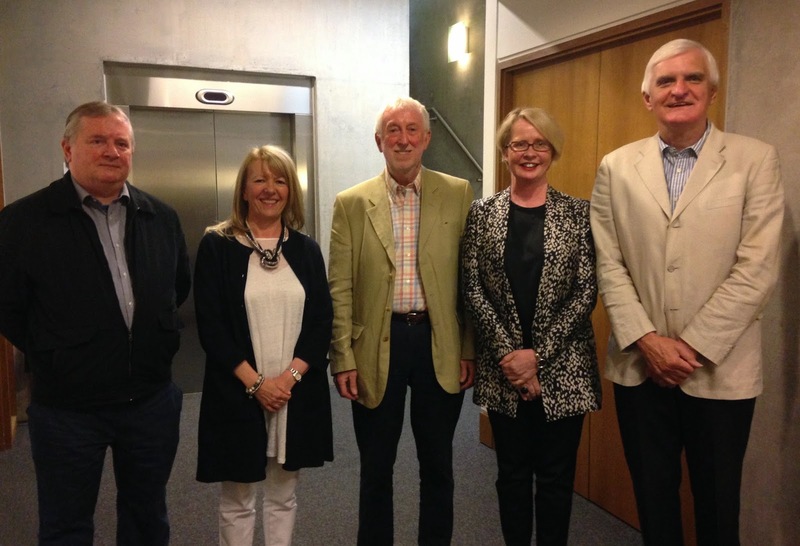 WW1 Lecture Series a Hit! 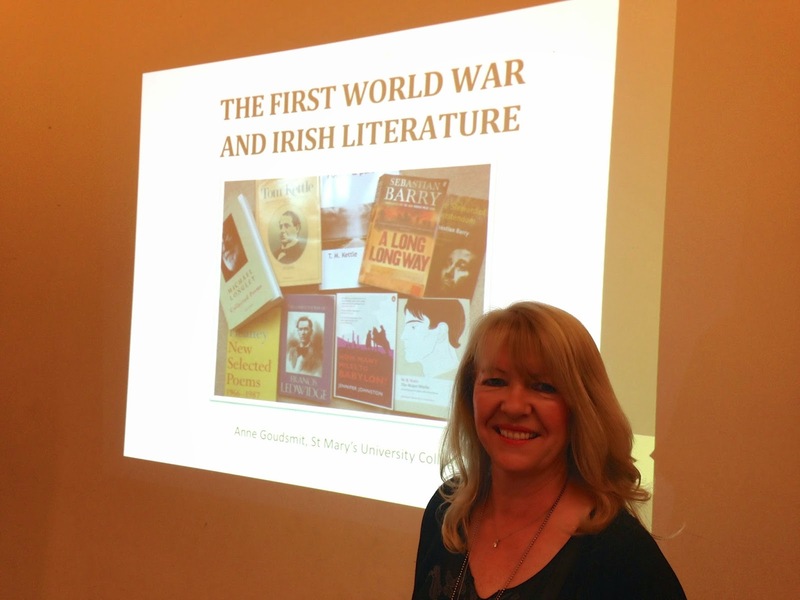 A highly successful 5 week lecture series on Ireland and the First World War has just concluded at the Irish Cultural Centre, Hammersmith. 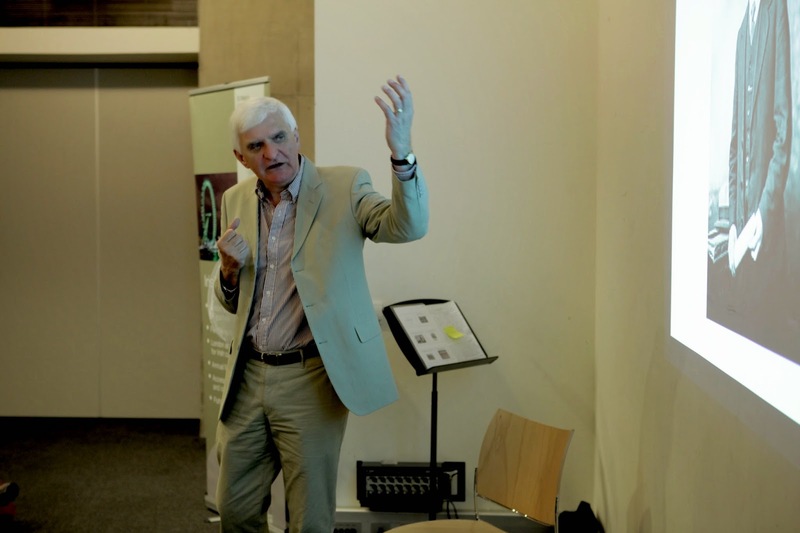 Organised in conjunction with St Mary’s University Centre for Irish Studies, the Irish Cultural Centre attracted over 50 people each week to lectures explaining the impact of the Great War on Irish politics and culture. 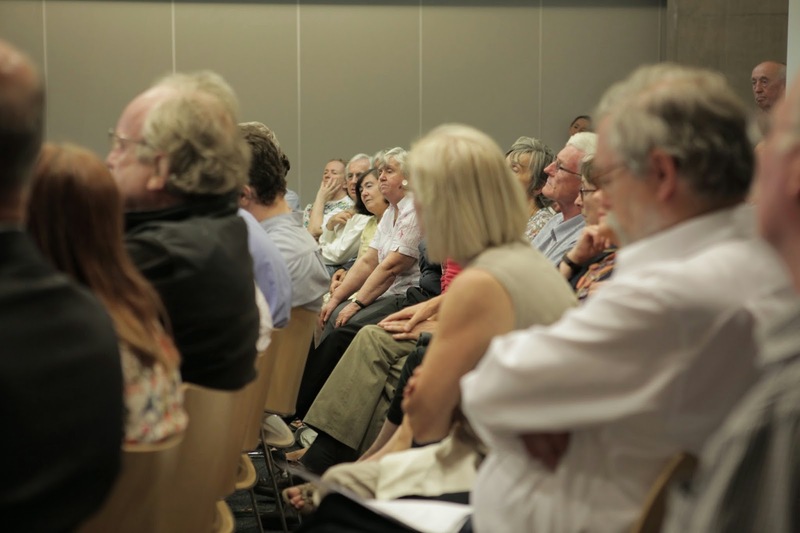 The series began with renowned historian Professor Joanna Bourke from Birkbeck College, University of London on The Experience of Killing in the First World War. Joanna is a leader in the field and her previous research An Intimate History of Killing; Face to Face Killing in Twentieth Century Warfare won two high-profile historical book awards. This was followed by Jim O’Hara’s lecture on Ireland and the First World War which looked at how the Irish public and political parties responded to the changing conditions that the conflict brought to the country. Jim is founder of the Irish Studies programme at St Mary’s and is chairman of the board of directors at Hammersmith Irish Cultural Centre. Dr Anne Goudsmit, who has recently completed her PhD in Northern Irish fiction at St Mary’s talked on Irish war writers including Irish nationalists Francis Ledwidge and Tom Kettle and this was followed by current St Mary’s MA Irish Studies student Peter Power-Hynes describing the role of the London Irish Rifles battalions in France and the Middle East during the First World war. Dr Ivan Gibbons, Programme Director in Irish Studies at St Mary’s and a member of the board of directors at Hammersmith Irish Cultural Centre finished the series with a talk on Ireland and the Aftermath of the First World War which explored the Great War’s significant impact on Irish politics and society between 1918 and 1923. Dr Gibbons, who also organised the series stated that such has been the success of the lecture series that a similar series of lectures will be organised in 2015 examining the political and historical significance of the 1916 Easter Rising on the occasion of its centenary. 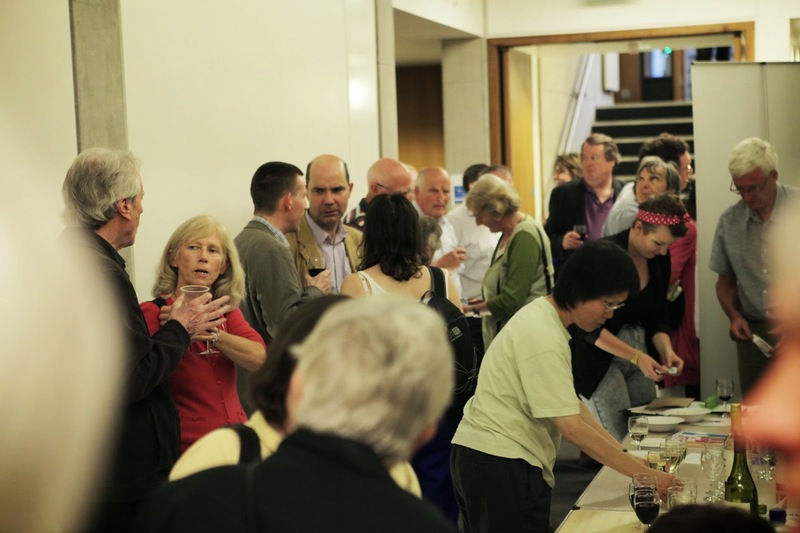 We would like to extend our thanks to everyone who made this series possible: All our speakers, all our volunteers, everyone at St. Paul's Hammersmith, Lala Restaurant, Lance Pettitt from St. Mary's University and you, the audience for packing the room out week after week! Please stay tuned for more lectures and Education Programme updates coming soon.